Could Information Silos Kill the Internet of Things? I missed this when it came out in July, but thought it was worthy of notice! He should know: after all, his prior job was running the TSB’s “Internet of things” program. 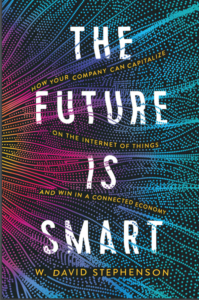 “He believes the Internet of things will (sic) gradualy follow analyst company Gartner’s much-cited hype cycle – a peak of inflated expectations, followed by a trough of disillusionment, followed by enlightenment and mainsteam adoption. “If that’s true, then the trough is surely on its way. Last year, Gartner’s hype cycle for emerging technologies had the Internet of things approaching its peak. Who else could use this data? “.. the TSB oversaw a significant research programme to study the potential impact of the Internet of things. “It brought together over 400 business and public sector organisations to develop proof-of-concept projects for potential Internet of things applications. These ranged from a mobile fitness app that could sell aggregated data to retailers to an assisted living system to monitor patients in their homes. “Ten study groups examined these projects, conducting interviews and focus groups, to assess their technical, social and ethical impact. Pilu argues that making data openly available will be the key to unlocking the Internet of things’ real potential. But, as many of the TSB’s projects found, this is not always possible. One study looked at the public infrastructure on city streets, for example, and found that the associated data is often held in closed systems or discarded quickly after being gathered. So sharing information won’t come easily. It’s an issue to which I plan to devote much of my efforts in the field. I’ll keep you posted!